Two properties of Mövenpick Hotels & Resorts have become the first hotels in Vietnam to receive the Green Globe Certification for their environmental awareness. 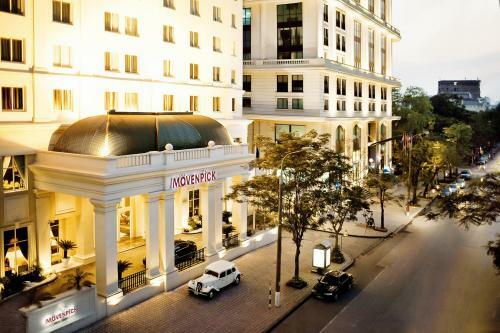 Mövenpick Hotel Hanoi and Mövenpick Hotel Saigon were judged on 337 different criteria, including customer satisfaction, water and energy consumption, waste management, commitment to society, and internal training. General Manager of Mövenpick Hotel Hanoi Phillip Jones said the hotel has strived to minimise energy use by applying a number of measures such as installing a power-saving lighting system, reducing water consumption and paying attention to waste and chemical treatment. The hotel has also set detailed targets and observed its operation based on these targets to make sure Green Globe is implemented effectively, he added. Mövenpick Hotels & Resorts, an international luxury hotel management company with over 16,000 staff members, is present in over 24 countries with 78 hotels and resorts. Committed to sustainable environment, Mövenpick Hotels & Resorts has become the highest Green Globe certified hotel chain in the world. First introduced in 1994, the Green Globe brand represents the best in sustainable practices within the travel and tourism sector, and provides certification, training and marketing services in 83 countries.